Mona M Ismaeil is a graduate of Concordia University College of Alberta. She has an Arts degree majoring in Sociology and minoring in Psychology. She also has an Elementary Education After-Degree. She worked for 3 years as a grade 5 teacher before the birth of her daughter Manessa. Since then, Mona has been focused on her other projects. With her husband, she is the proud owner of Modern Hejab, she is a blogger and writer/editor for MuslimMoms.Ca. She has also been published in Sisters Magazine and featured in the fashion section of the Edmonton Journal. Mona is very passionate about Islam, Hijab and bringing awareness to the beauty of Islam while encouraging open and honest dialogue. This head lead to many speaking opportunities such as being interviewed on Global News Edmonton as well as other community engagements. Besides, working, Mona loves to spend time with her friends and family, travelling and most of all she loves being a mom to her two children! Dr Gemma Elizabeth (BVSc BSc MRCVS) is by profession a Veterinary Surgeon, but her heart lies in education. She reads widely on the subject, and her special interests lie in outdoor play, the Charlotte Mason approach and Gifted children. 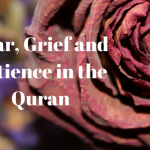 Gemma and her family try to put Allah first in all aspects of their lives and live in a way pleasing to Him (swt) and our beloved Prophet (saw). Khadija Kiran is the Arty crafty girl behind Creative Khadija blog. She has been blogging for more than 7 years and is a passionate artist & blogger who loves writing/sharing about DIY, home decore, art, fashion & lifestyle. She has a Masters in Education and also studies Fashion & Textile design after her graduation. She has successfully shared 350+ step by step tutorials on her blog & most of them have been featured & published worldwide in print media as well as blogs, magazines & forums. Zainab Dokrat loves cooking and with her blog she tries to bring you recipes that fuse different cultures and spices with Indian Cuisine. She tries to share as much as she knows, tips, videos and easy instructions for each recipe. Elena aka the MuslimTravelGirl, is the first woman to become a Chartered Islamic Marketer (CIMA) in the UK, and has over ten years of marketing and branding experience. She also holds an MSc in Islamic Finance from Aston University in Birmingham. AYEINA as a whole is an online space for Muslims to reflect – a community of people trying to strengthen their Islamic identity and make the best of both worlds. The voting for this was held in our closed community, with the top 5 then being deliberated over by some of the sponsors and the admins of MB. It was very difficult to choose between the top 5 as they were all inspirational in their own ways. 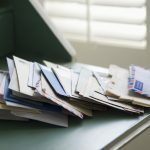 In the end, the decision was made based on a number of factors, including how helpful they generally are. Iman from And Then She Said is a wife, mum to two little minions and an organising junkie who loves food (sugar is my best friend). Hop aboard the crazy train and share in the beautiful, chaotic, ever-changing journey that she is on! 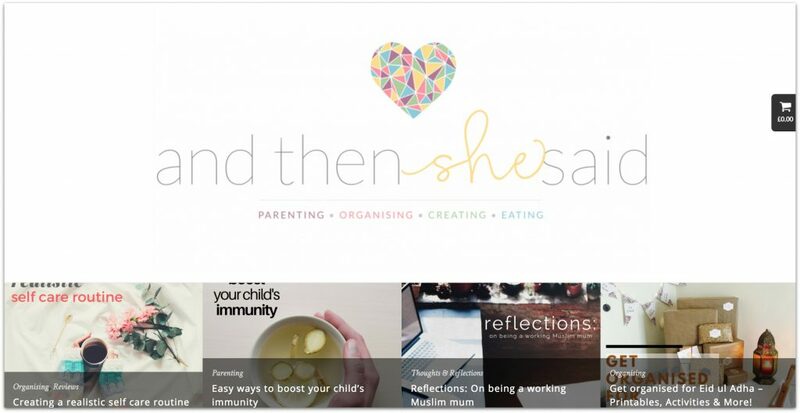 We did a mini interview with her back in May 2016…..have a read to find out more about her: And The She Said Featured Blogger. Congratulations to all our winners and a jazakAllah khair to all our award sponsors. Until next year in sha Allah! How does the Muslimah Bloggers work? How do you become a part of it? 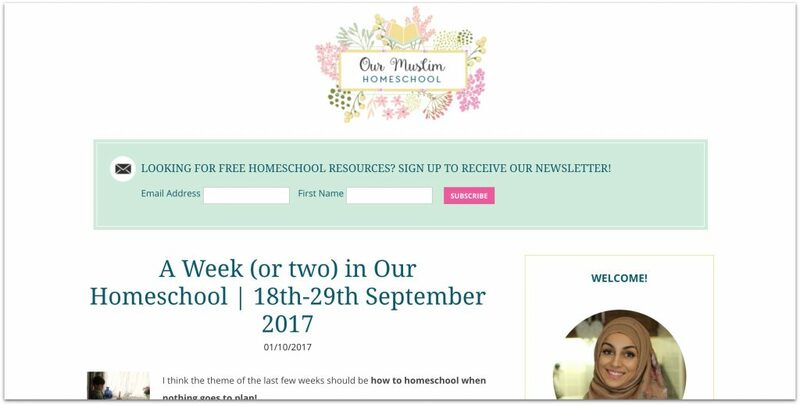 Is the Muslimah Bloggers a closed group for the UK only? Pepper and Pine is clearly a fantastic YouTuber and she wasn’t even nominated, which is very surprising and leaves us to wonder how this ‘contest’ works? It feels like it’s only for a closed group of friends? Like, what do you mean that some of the Admin worked together to choose from a closed group? The only one that admin and sponsors had any say in was the Inspirational Blogger one which was picked via the public nominations, the group nominations and opinions of some of the sponsors. There were almost 1000 votes from the public picking the winners. Everyone is welcome to join the group…all info is in the about page. 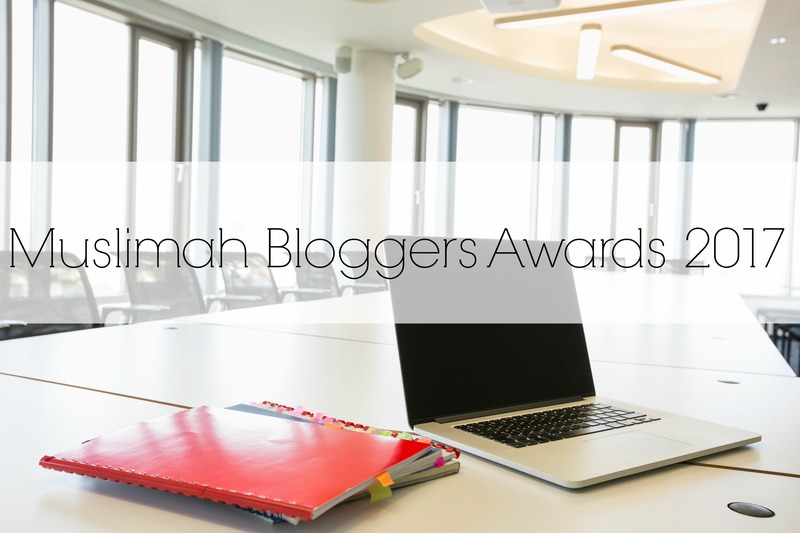 Shukran for hosting this amazing blogger awards. I really am so happy I won for food and recipe as well as my blog being nominated for the beauty and fashion category. These awards really do bring us together, we get to support one another and it’s just amazing. May Allah guide us, may Allah continue to grant us all success, all the nominees are amazing I got to check out lovely blogs I didn’t know of mashallah.